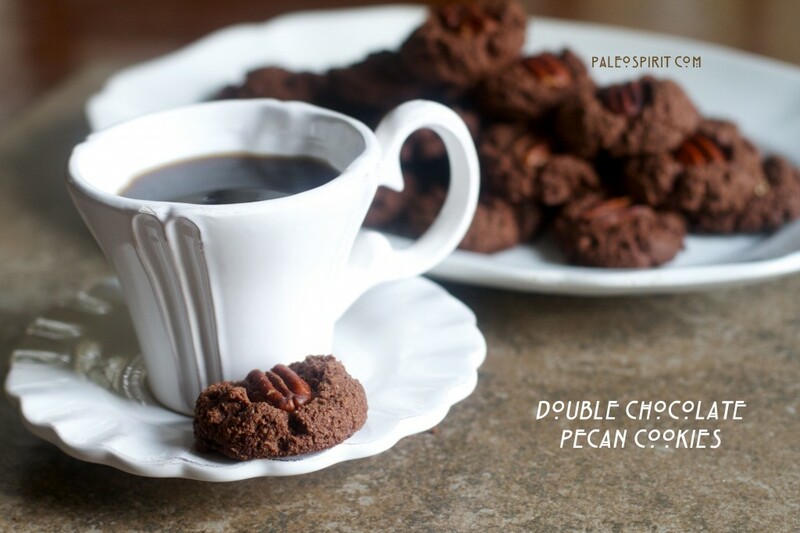 The following recipe for Paleo Double Chocolate Pecan Cookies was originally posted at the wonderful site Against All Grain as a guest post. Danielle gave me the opportunity to share a recipe and a few thoughts on the importance of beauty in our lives on her site. If you are not already familiar with Danielle’s site you are in for a treat. Like me, Danielle has been able to manage an autoimmune disease through diet. 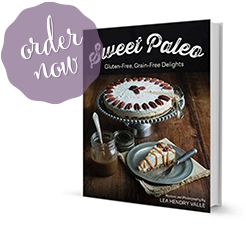 She specializes in recipes that are grain free and consequently gluten-free, free of refined sugars and low to minimal dairy. 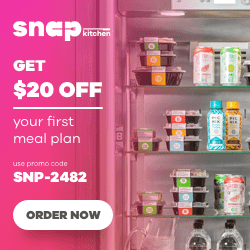 Check out my Guest Post at Against All Grain and stick around a while and enjoy Danielle’s amazing and healthful recipes and beautiful food photography. * I used Honeyville Brand Blanched Almond Flour. You can try using almond meal, your own ground almond flour or different brands but you might get slightly different results. ** The purpose of the coconut flour is to counteract the oiliness of the almond flour which is high in fat. 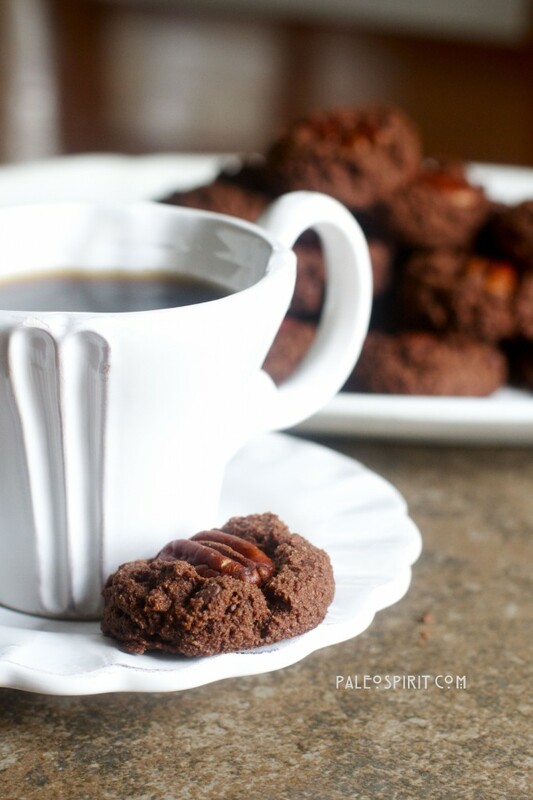 Coconut flour can be tricky to work with and too much may dry out your cookies. 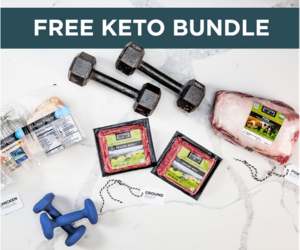 Find Paleo Spirit on Facebook, Twitter, Pinterest. 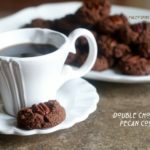 9 Responses to "Double Chocolate Pecan Cookies (Paleo & Vegan)"
I didn’t figure out I forgot to buy cocoa until I already started and ended up substituting another 1/2 cup of coconut flour. Ended up tasting fairly close to traditional choc-chip cookies, not too bad. 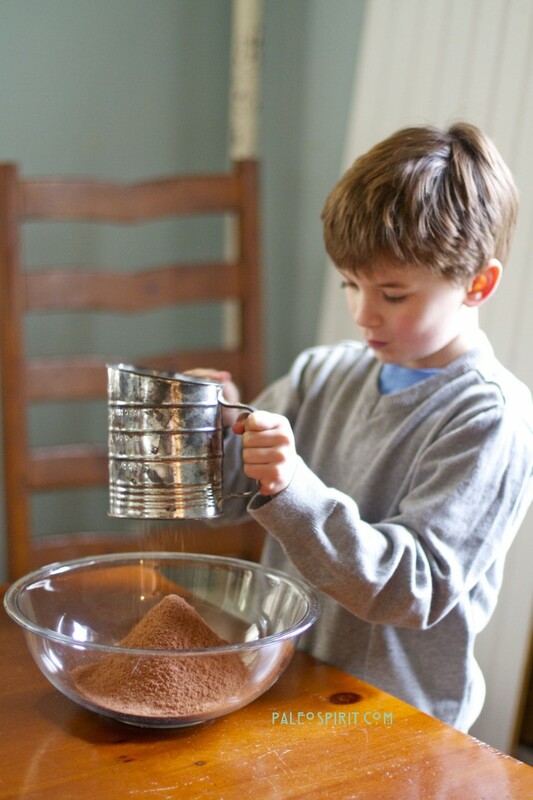 When a recipe calls for 2 cups Almond Flour, can I use 1 cup Almond and 1 cup Walnut or Hazelnut Flour? Too much Almond Flour leaves a taste in my mouth, and I’d like to soften that a bit. If not, what could I substitute some of the Almond Flour for? Thank you. I think you could sub with another nut flour in this recipe pretty easily. (Coconut flour would not work, just in case you were considering that) Blanched almond flour is very fine so substituting something else in a baked good like a cake might be more difficult. But with these cookies it would probably be fine. I just made this after finding your guest post on Against All Grain. I am just trying out gluten-free living and was craving something “bad” so decided to give these a shot. They are delicious! They completely satisfied my craving and I will surely be making these again. Thank you! Also, for anyone experimenting with different brands, etc. I used blanched almond meal/flour from the bulk section of Earth Fare (1/2 the price of Bob’s Red Mill) and Coconut Secret flour — they worked great! We really loved these Lea!! I used some cassava flour instead of coconut. Yum!! Yay! Thanks for sharing the substitution.